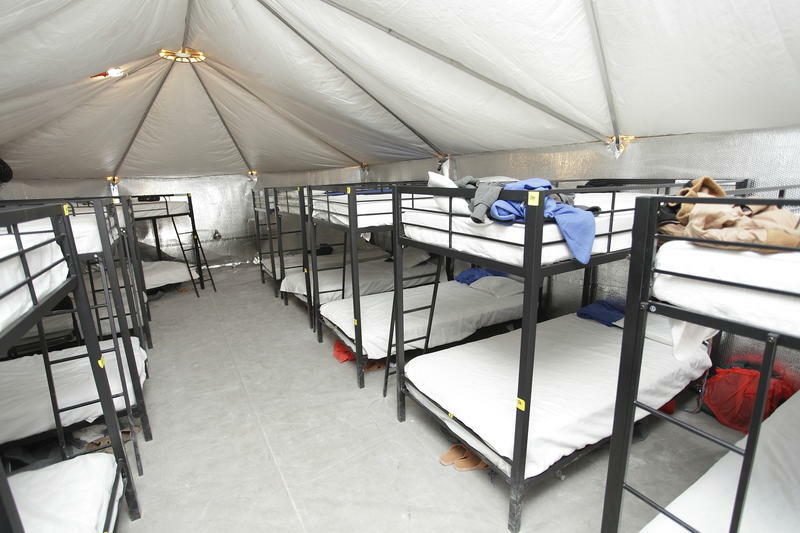 Two family detention centers in Texas currently hold several dozen immigrant families. 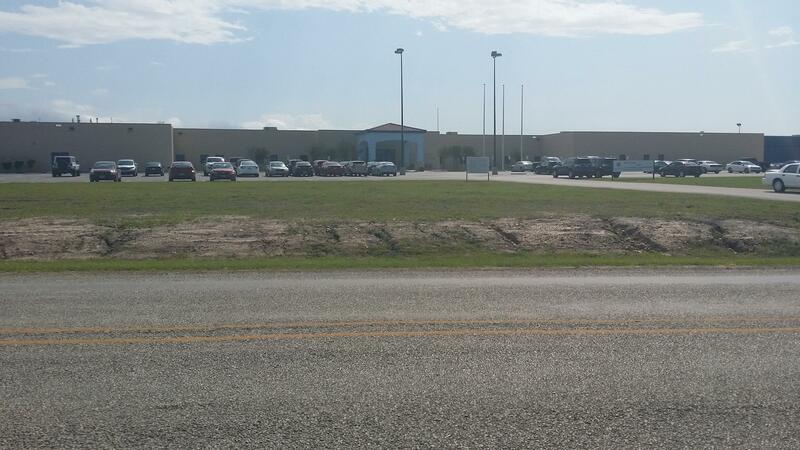 Lawyers representing detainees at both the South Texas Family Residential Center in Dilley and the Karnes County Residential Center say their clients are demoralized. Julia Valero, a lawyer for RAICES — Refugee and Immigrant Center for Education and Legal Services, represents some of the men at the Karnes detention center. 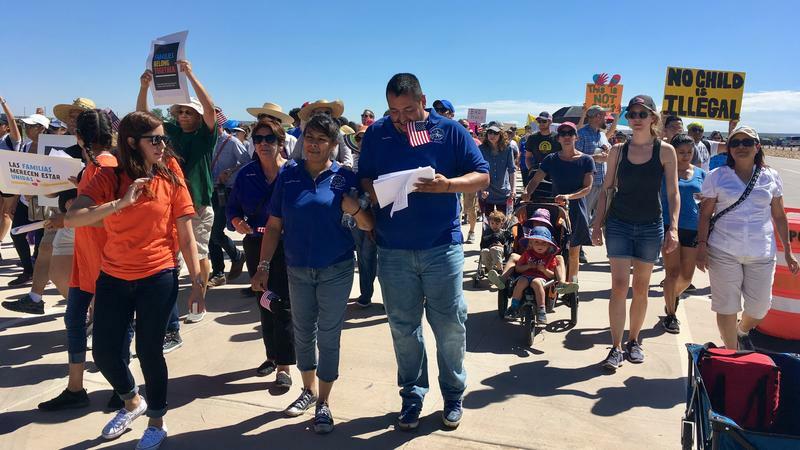 She said many of the detainees have been in detention for more than six months, and many of the fathers and children were separated for a portion of that time. "The mental state on the ground is just one of exhaustion and depletion and feeling like they can't go on," Valero said. Things are similarly bleak at Dilley, where immigrant mothers and their children go. Katy Murdza, with a coortinator with the Dilley Pro Bono Project, said kids are showing clear signs of trauma. They're regressing: wetting the bed, acting out, and demanding their mothers carry them. "This is especially true of these kids who were traumatically separated from their moms for months and are constantly afraid that that could happen again because in many cases they feel that they were tricked by immigration officials,” Murdza said. “They were told, 'Come with me and you'll see your mom again in a few hours,' and they didn't see her again for months." The reunited families have asked for asylum, but they're being detained during the process. Murdza doesn't know why when most other reunited families were released. She said they do all have unfavorable decisions on their credible fear interviews, which is the first step in the screening process that determines whether you’ll be granted asylum. It is during the credible fear interview that ICE determines whether someone asking for asylum has reason to believe they will be persecuted or tortured upon return to their home countries. However, many of the families that were released also had unfavorable decisions resulting from this first interview, so Murdza says it’s impossible to determine if that has anything to do with her client’s continued detention. Valero said the dads at Karnes have resisted their situation. Several weeks ago, they started a hunger strike — but it didn't last long. Valero said they were afraid ICE would take their kids away again. Karnes County Residential Center in Karnes City houses dozens of detained immigrant fathers and their children. They now tell ICE that they want to be released, even if it means deportation. "This speaks volumes,” Valero said, “considering that many of these families are facing very real persecution in their home countries — such as threats of murder and torture — that they would rather ask for deportation than continue under this process under this government." Murdza says no moms at Dilley are ready to go that far — yet. "People feel that their lives are in danger and the lives of their children if they return, but they see their children suffering here,” Murdza said. “We've had families afraid at times their child could die in detention, so it's just an impossible decision." Valero said, "Imagine being a parent and you have to watch your child suffer but you're not able to do anything to protect them?" Neither lawyer knows how long it would take for their clients to begin their immigration proceedings. When ICE was asked why these families were detained and how long this process might take, a spokesman responded in an email: "Due to ongoing litigation, ICE is unable to provide any details on this matter." The statement also said, "Family residential centers are an effective and humane alternative for maintaining family unity as families go through immigration processing or await return to their home countries." CORRECTION: Katy Murdza's title was incorrect in the initial post. She is the advocacy coordinator for the Dilley Pro Bono Project. TPR regrets the error. From a field of ripe cotton, the triangular tops of giant tents swoop up behind a covered fence next to a border crossing where drivers tow banged-up used vehicles into Mexico. From the outside, this is about all that's visible of the temporary shelter for migrant children set up on a remote stretch of West Texas desert.